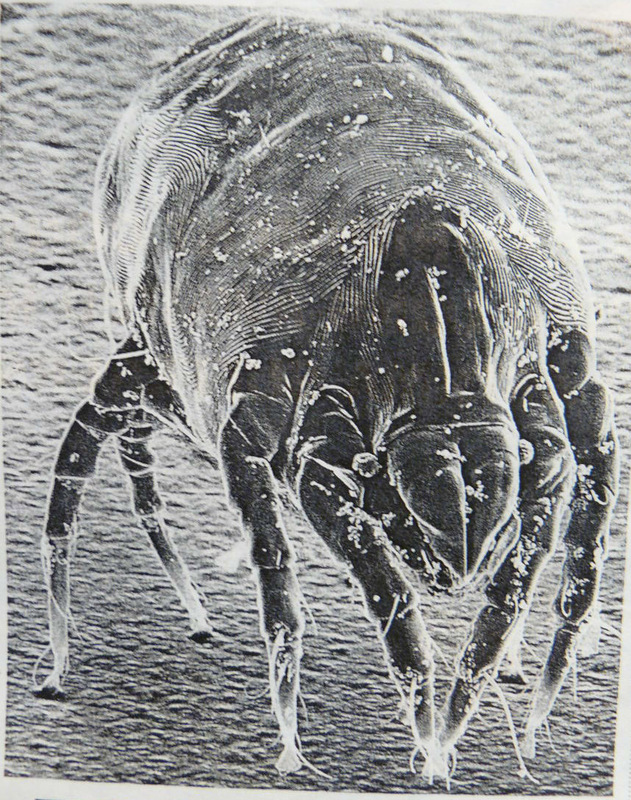 House dust-mites are tiny insects: they are less than half a millimetre (0.5mm) in length when fully grown. They like to live in your bedding. They feed off the microscopic dead skin-cells that we all continuously shed. It is actually the dust might faeces (poop) that carries their potent allergen. Therefore, to get rid of the dust mite problem, you have to both kill the mites, and protect yourself from the mite droppings. They are harmless for most people, and we are generally unaware of them. Who is allergic to dust-mite? Allergy tends to run in families. Unfortunately, if you have an allergic make up, then these dust-mites can become a big problem for you. The mite’s allergenic proteins often provoke allergic conditions such as asthma, rhinitis (hay fever) and eczema. About 1-in-5 people (that is 20% of the population) is sensitive to house dust-mite. This can be easily diagnosed by skin prick tests (SPT) or RAST (EAST) tests. Yes. 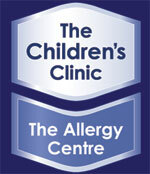 Research does show that lowering exposure to dust mite allergens can help allergy sufferers. By reducing dust mite exposure, you can reduce the frequency and severity of symptoms, and subsequently also reduce the need for medications. All of the major sources of dust-mite allergen in the home should be attended to. If you have a family history of allergies, then the exposure of your new born child to high levels of dust-mite allergen is likely to increase the chance of developing asthma in the future. It is very important to keep dust-mite numbers down so that the chance of dust-mite sensitization is substantially reduced in the first year of life. Use a dust-mite mattress cover. This is like a big pillow-case. It is made out of a material that is woven so tightly that the dust mites are unable to get through. It is zipped around the mattress. Complete encasement with a specialised allergen-barrier cover (for example MiteGuard in New Zealand) is the only effective means of protection. The dust-mite mattress cover should be lightly vacuumed or wiped with a damp cloth each week to prevent build up of dust-mite allergen on the cover. The mattress is the major reservoir of dust-mite allergen. The complex construction of a mattress means that vacuuming or mite-killing sprays are ineffective. This is perhaps the most critical mode of dust-mite allergen exposure. This is because your nose is pressed up against the pillow all night. Your breathing gives the dust-mite the moisture it needs to grow and thrive. You breathe in dust-mite allergens at every breath causing ongoing low-level allergic reactions. Your pillow needs the same treatment as your mattress, a dust-mite cover (that is a pillow-case made of a specialised allergen-barrier cover). Each week this outer pillowcase should be washed in hot water for maximum protection from dust-mite allergens. Soft toys can also be a significant reservoir of house dust-mite allergens. If soft toys get pressed against the nose, as with the pillow, then dust-mite exposure will occur in the nose, all night long. This can cause year-long symptoms. A solution for this is to put any of these soft toys into a plastic bag, and then place them into the freezer overnight. Afterwards, they should be washed every few weeks (soft toys should be washable). This effectively kills the dust-mites, and removes the allergens. Make a regular schedule for washing any soft toys in hot water when the toys are new, then allergen build up will be reduced to a minimum. Duvet/Doona covers are best fitted with a dust-mite cover and have weekly hot water washing of the outer cover. Polished flooring perhaps the best solution. Loose rugs/mats can then be regularly cleaned. A vacuum cleaner is not effective in removing dust-mites. 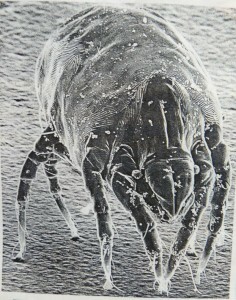 This is because these mites cling on to the carpet or mattress and do not get sucked up into the vacuum cleaner. Although, regular vacuuming of the mattress and bedroom floor does slightly reduce the allergen load, you only need to vacuum for a minute or two (vacuuming for longer has very little effect on the allergen levels). It is important use a vacuum cleaner that has effective exhaust filtration. Clean the filters and replace the dust bag frequently. To avoid stirring up the dust it is best to use a damp duster. Dust-mite covers are available at stores such as Harvey Normans, Warehouse and Briscoes.